This is how Sophie Ward’s life can be best described. Her life is an inspiration for all and her struggle is worth knowing and studying. Sophie Ward was born on 30th December 1964. Also the daughter Late actor Simon Ward, she is a famous English Actress. Her screen roles include the famous Elizabeth Hardy, the ill-fated and beautiful true love of Sherlock Holmes in the movie Young Sherlock Holmes. Talking about how her career got started, Sophie Ward started as an actress from the age of 10. She has worked across all over the world in television, theater, and movies. She was also trained as a dancer by the world famous ballerina Merle Park. One of Ward’s early break-through was the film Young Sherlock Holmes which was directed by Barry Levinson. To name others of her early engagements would be A summer Story, Return to Oz, Full Circle and Little Dorrit. Besides, she also portrayed the role of dancing object in Roxy Music’s video titled as “Avalon”. Then gradually her career started shifting roles. 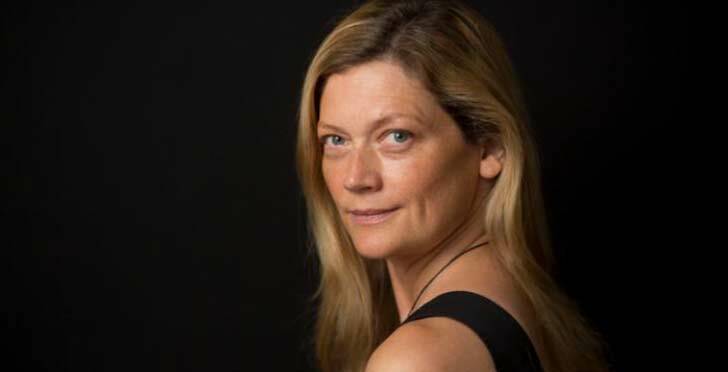 During the 1990s, Sophie Ward advanced her acting enthusiasm to stage work and theater arts through which she received considerable success and acclaim. She has also appeared in several of Glasgow Citizen’s Theatre productions which include Don Carlos (as Queen Elizabeth), Private Lives (as Amanda) and most striking of all in Hamlet as Ophelia. Her new practices really complimented her and she was well appreciated by her fans too. In 2006, she starred in Henry Green’s Nothing under her own production. It was premiered in the US at the 59E59 Theatre in Newyork targeting the Brits off Broadway Festival. Through Nothing, she got well acclaims too. Sophie Ward's most recent films include Out of Bounds (2003), in which she co-starred with Celia Imrie and Sophia Myles, and also Book of Blood(2008) that co-starred Reg Fuller and Jonas Armstong. She also did appear in Jane Eyre(2011) by Cary Fukunaga. She has also worked in the film “The Hunger” by Tony Scott where she worked with Susan Sarandon who is regarded as the greats in the acting world. She has also worked with Liv Ullmann in the movie “A Time of Indifference” directed by Mauro Bolognini and Elizabeth Taylor in the movie “Young Toscanini” by Franco Zeffirelli. Sophie Ward has a television side of her career too. Her television efforts include the highly acclaimed series “A Dark Adapted Eye’ with actress Helena Bonham Carter as the doomed Eden and the sweeping fantasy named as Dinotopia. In 2008, she was cast in Holby City in the role of Sophia Byrne, the sister of Surgeon Joseph Byrne. Talking about her personal life, after having a first degree in Philosophy and Literature from Open University, Sophie Ward married Paul Hobson in 1988 who was a Veterinary surgeon by profession. And the couple had Nathanial and Joshua as two sons. But they got divorced in 1996. Then, Ward became more involved with the female Korean-American writer, Rena Brannan and as result, she introduced herself as a Lesbian. Ward had long been considered as the Face of the 1980s as a Vogue Model. She has been an inspiration for many actors and actresses too.